Beneath the turbulence of our thoughts and emotions exists a profound stillness, a silent awareness capable of limitless love. 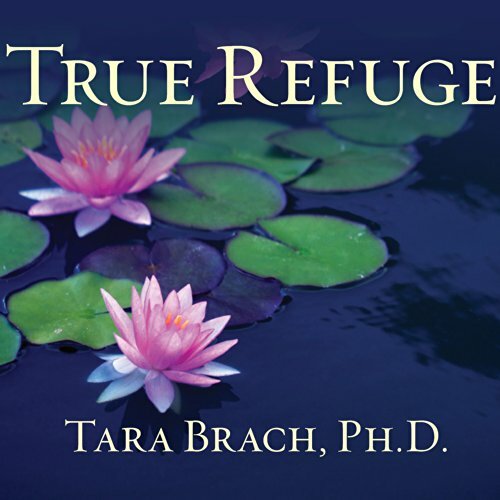 Tara Brach, author of the award-winning Radical Acceptance, calls this awareness our true refuge, because it is available to every one of us, at any moment, no exceptions. 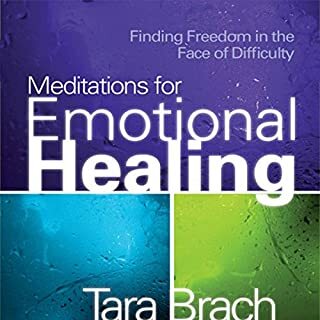 In this book, Brach offers a practical guide to finding our inner sanctuary of peace and wisdom in the midst of difficulty. 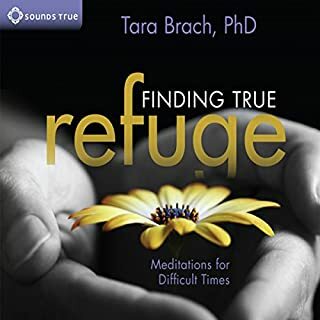 Based on a fresh interpretation of the three classic Buddhist gateways to freedom - truth, love, and awareness - True Refuge shows us the way not just to heal our suffering, but also to cultivate our capacity for genuine happiness. 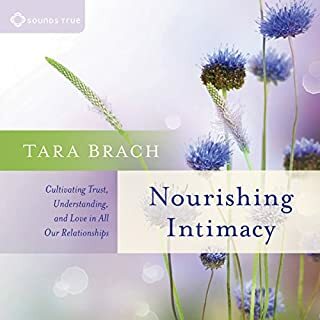 Through spiritual teachings, guided meditations, and inspirational stories of people who discovered loving presence during times of great struggle, Brach invites us to connect more deeply with our own inner life, one another, and the world around us. True Refuge is essential listening for anyone encountering hardship or crisis; anyone dedicated to a path of spiritual awakening. The book reminds us of our own innate intelligence and goodness, making possible an enduring trust in ourselves and our lives. We realize that what we seek is within us, and regardless of circumstances, "there is always a way to take refuge in a healing and liberating presence". 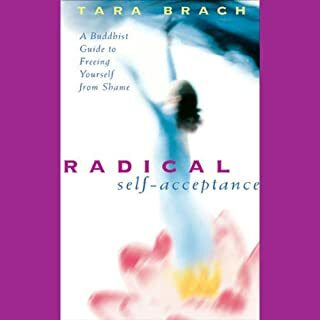 Tara Brach's other book--Radical Acceptance--had a very positive impact on me, so I dove for her second title. Although I found a portion of the material between True Refuge and Radical Acceptance to be duplicate (not necessarily a bad thing), reading TR was time well-spent. Like RA, TR is chock-full of examples with clients and students of Brach's, which gives the book a grounded feel. My biggest criticism of TR is Brach's repeatedly going to body parts as focal points for pain--I know that's a big part of her teachings and I respect that, but it doesn't spoil my enjoying and learning from the mindsets that she teaches. Below is a hodgepodge of lessons and quotes I took away from this title. Finally: Cassandra Campbell needs to accompany me to work and dictate my email to me every day. A terrific, calming narration well-suited for Brach's writing. Excellent audiobook. - The three keys to True Refuge: truth, love, awareness. - Brach's illustration of this application regarding her own terminal illness and her inability to go to the ocean anymore. - Good doubt searches for truth. Bad doubt arises from fear and anxiety. - The "hub of consciousness" has spokes and a wheel which we travel out on. We must always return to the hub. - Between stimulus and response is a space where we can take action. - Compulsive thinking: Houdini can't escape from the unlocked lock. Compulsive thinking is fear-based and does no good in the long run. Pursuit of a conscious goal or ideal is different (and good). - What we resist, persists. - Grocers and thinkers: the only two people who weigh everything. - Understand the difference between "what's real" and "what's true"
- Reality is always more kind than the stories that we tell about it. - "If I don't know you, it's easy to hate you--but if I look into your eyes, I can't." - Every thought is examined, or identified with. Choose wisely. - The feeling of love--just 20 seconds, be it a hug from a spouse or a thought of a loved friend, pet, Jesus, etc.--has biological proof of positive effects to the brain. - Thoughts that wire together, fire together. Condition yourself to be positive. - The moment you see the importance of loving yourself you will see the importance of not making others suffer. - "Avoid striking yourself with the second arrow." The first arrow--your reactions to stress--will perhaps never change or go away. But you can control your reactions to those reactions. - Those who are free of resent surely find peace. - Feed the right wolf: the reacting wolf or the loving wolf. You choose. - Let the killer of your child drown in a river. Will you save them? - Wisdom tells me I am nothing. Love tells me I am everything. Life is somewhere in the middle. - Why doesn't the monk know what happens when he dies? Because he's not dead yet. After finishing this title, I was standing in Barton Springs (a popular Austin swimming location) meditating and watching the lap swimmers in the morning. It was a busy morning--lots of swimmers--but still: 95%+ of the surface area is still calm, unoccupied water. I thought about how consciousness is similar: even though our mind may be racing with thoughts, those thoughts are still dwarfed by the space of consciousness itself. I credit reading TR for that moment of enlightenment. Tara Brach does not use cheap tricks. It is old knowledge+personal stories.A resource to accept & evolve. 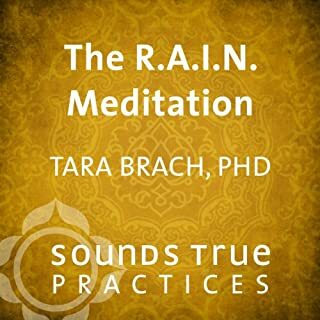 Tara Brach, who has achieved notoriety for her gentle approach to living, primarily through a psychological/Buddhist approach, provides some guidelines for moving through life, using what she refers to as "R.A.I.N." By this, she shows us how to meet challenging situations. First Recognize the reality of what is occurring. Then Accept that is it what it is. "rest in Natural awareness." (in other words, do not be so quick to react, but move to a state of awareness in which we have a different relationship to what is happening). 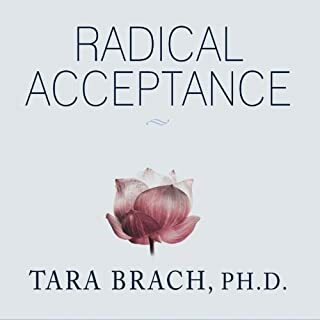 Tara Brach also wrote "Radical Acceptance," in which she also suggests that we are so quick to run from, or distance ourselves from situations that feel unpleasant, that we may do better in the long run finding a way to move into them, with curiosity, patience and willingness to be present to what is happening. As happens sometimes, they have chosen someone else to read this book. Although Cassandra Campbell has done an excellent job, Tara Brach has a beautifully soft voice, and I would so have preferred hearing her narrate it herself. However, this book is certainly worth listening to. I would love Tara one day. Her teaching's and personal story give me inspiration that I will fine deep and lasting peace. What did you love best about True Refuge? Tara, PLEASE Narrate your own books! Meh. It's a bit redundant if you've listened to Radical Acceptance. Tara Brach's advice is helpful and practical, (which is why her choice of reader does not support that). Oh! so condescending. It felt like she thought she was talking to idiots or tiny little children (I'd give children more respect, personally). Her sing songish way of saying things so slowly in a small (phony) voice as if she was fearful of breaking bad news to a meanie who might slap her - made the book hard to get through. I finally just bought the printed version. Do you think True Refuge needs a follow-up book? Why or why not? Personally, I do not like how "guided meditations" are sprinkled throughout the book, right in the middle of telling the story. Put them at the end or beginning or on a separate tape. I had to fast forward many times to appreciate the message fully. This is a beautiful learning experience of meditation, acceptance, and self love. I felt very connected to her words and really appreciated this book. What other book might you compare True Refuge to and why? the power of now by Eckhart Tolle.. True refugee teaches you to be in the present the same as the power of now. What insight do you think you’ll apply from True Refuge? Instructions on being human, very well put. Buddhism based but approachable for all. Would you listen to True Refuge again? Why? I couldn't listen to this. The narrator must be a graduate of the Diane Chambers School of Drama. I'd rather listen to Cliff tell stories about delivering the mail.